Grace yard sale, acrobatic or family day? Have you ever seen a Grizzly Bear? You may have read stories about them but not too many people have actually seen one. Grizzlies can weigh up to 800 pounds and they can be as tall as 8 feet when they are standing up on their hind legs. Although they are very big and heavy they can still run very fast and they can reach speeds of up to 40 miles per hour. The Grizzly Bear likes to eat nuts, berries, insects, salmon and small mammals. They eat a lot of food in the summer because during the winter they hibernate. This means that they dig a den (like a big hole) and sleep during the cold winter months. The reason that the Grizzly Bear is threatened is because people have been logging and mining in the places where they like to live. This destroys their environment and then there is nothing left for them to eat. Also people have killed Grizzlies to make coats out of their nice warm fur. 1) What always falls down but never gets hurt? 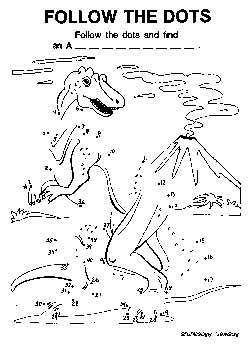 2) What can run but can’t walk? 3) What do dogs and trees have in common? 4) Name four days that begin with the letter T.
The Chiang Mai Public Health Office has invited the public, especially people aged 10-24, to be members of the “To Be Number One” club. The “To Be Number One” campaign was first introduced in Chiang Mai last year and the club already has about 240,000 members, according to Nuntawan Sophon, head of the Drugs Division of the Provincial Public Health Office. The campaign pays particular attention to young people aged 10-24 because they are in the high risk category for drug addiction. The Office aims to have at least 50 percent of residents in this age group as members. The campaign already has over 100,000 youth members, Nuntawan revealed. Members will receive a membership card which provides many special discounts on items appealing to youth. The cards can be used in regional provinces as well as Bangkok. The membership card entitles you to a 50 percent discount when shopping at any branch of Central Department Store, buy one ticket and get one free ticket at Imax Theatre, five percent discount at B2S Shop, three percent discount for furniture on promotion at Index Store, and many special offers at various fast-food outlets. Members will enjoy even more privileges in future, assured Nuntawan. The first batch of 10,000 membership cards has already been delivered. Interested young people can apply to become members at the Chiang Mai Education Office, Region 1, on the 4th floor of Chiang Mai City Hall. Adults can apply at the Chiang Mai Drugs Combating Operations Center and employees at the Chiang Mai Social Welfare and Labor Protection Office. 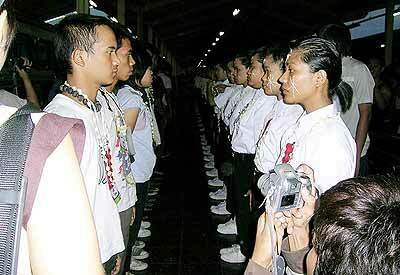 The main activities of the campaign include many kinds of exercise activities, singing contests, a D.J. training course, and occupational training courses. The objective of the campaign is to make oppose drug taking by preventing teenagers and others from becoming involved with and addicted to narcotics. Now repeat after me, in a loud high pitched voice, “Did he do it - did he do it - why did he do it” and there you have the threatening call of the Red-wattled Lapwing. These birds have become a pest as far as I’m concerned, they attack me and berate me until it becomes an embarrassment - passersby often wonder what I’ve done to get them so worked up. Well all I’ve done is just to be in their vicinity which also happens to be where they are nesting. They are ground nesters and there is a danger that you might inadvertently crush their eggs and what they are trying to do is drive you away. Another little ruse these birds have is never to actually land at the nest site but to alight some meters away and then sneak to the little dent in the ground that they call home. 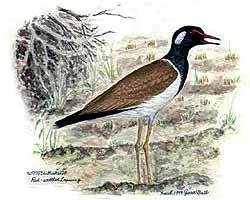 One of the beautiful watercolor pictures of a Red-wattled Lapwing from the late Yurie Ball. The day war broke out at Huay Tung Tao: At 6.30 a.m. on Wednesday 12th May the peace of Huay Tung Tao was rudely shattered as a platoon of soldiers proceeded to shoot-up and ‘bomb’ the top end of the lake resort area. Surprisingly the birds took it very well except, of course, for the lapwings. They went ballistic, appropriately, and with good reason, the soldiers were tramping all over their nesting sites. As the ‘bombs’ exploded the foothills erupted in plumes of earth and smoke and gunfire blasted the once peaceful woodlands, blanks I assumed as no bullets whistled about my ears. In the meantime Suk, my driver/housekeeper/cook, had set up my ‘directors’ chair and laid the table for breakfast and I proceeded to watch the war from my grandstand position partaking of coffee, sandwiches and cream cakes - it was all over in 40 minutes just as I finished breakfast. Shades of the Generals at Balaclava watching as Lord Cardigan led the ill-fated charge of the Light Brigade! Christopher Wren (Troglodytes christopherus?) the architect would not have felt challenged at the work of at least one of the avian world, the Common Tailorbird. I have been watching one of these building its nest and it took three attempts to get it right. This bird, as its name suggests, actually tailors its home by joining two leaves together, it achieves this by making holes along the edges of the leaves and inserting something of stalk consistency and teasing the ends to prevent it slipping out. Then the bird will build the nest inside but on the first two attempts when the nest was nearly finished it fell out of the hole at the bottom. On the third attempt it decided to use one large leaf and fold it around and then tailor it together and this time it worked; quite an ingenious idea - but I hope it is better at parenting than it was at building, I’ll be keeping an eye on its progress. Will it rain or not? This was the main question the week leading up to Grace International School’s yard sale. May 15th was the day of days where the entrance fees and sellers’ fees are donated to the Class of 2005 - to go towards their senior trip and senior scholarships. Over 500 folks came and enjoyed the day. There were so many items to choose from! Toys, clothes, furniture, CDs, plants, bikes, books, even guinea pigs and puppies! Businesses donated door prizes and the children would like to give them a special thank you, like Sojo’s Restaurant, Denta-land, Upper Crust, Kingdom Bookstore (Chiangmai Land) and Just Coffee. Amazing! A five foot vertical jump to smash a balloon in mid-air. He makes it look easy, but it needs a lot of strength and practice! Students of the upper grades worked hard to keep the hungry customers supplied with hamburgers and hot dogs. For the juniors, it was the day to earn money towards their senior trip next school year. But also sport was a matter of this Saturday morning. The taekwondo students were prepared to wow the crowd with their skill. 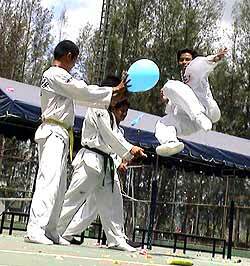 Taekwondo is a Korean martial art which is actually a mix of three different words. ‘Tae’ means to kick or squash with the foot, ‘Kwon’ implies a hand or fist to punch, block, or strike and ‘Do’ is the art or the way. So, pulling all together, taekwondo is the Korean martial art of punching, blocking, and kicking and it is best known for its beautiful dynamic combination of kicks. All in all it was a day which resulted in a success for everybody and the juniors of today are looking forward to be the seniors of tomorrow and go on their field trip. When we think back to the good times we had in school, the first things that come to our minds are the special events like field trips. 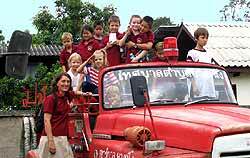 Grades 2 and 3 at the Christian German School Chiang Mai (CDSC) went on one such exciting field trip last week - to visit the Sarapee Fire Department. This photo could have been taken in the 1950s anywhere in the world, though it is 2004 in Sarapee, Thailand. That’s a real treasure photo for every photo album. For over a month Damaris Maiwald has been working with her 14 students on the subject “Fire” and “Fire Departments”. Everybody in the class was excited to visit the fire station and see first hand what they have been learning in the past weeks. Using the radio is one of the tasks of a firefighter. Sarapee, which is a suburban fire station, owns one of the oldest trucks in the region. The children were allowed to climb onto the fire truck that is between 30 and 40 years old and learn about different signals and instruments and how to use the radio. The fire fighters demonstrated the danger of leaking gas bottles and explained to the children how to properly close them. 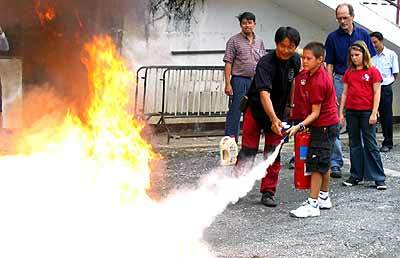 And every child was allowed to extinguish a fire, something that nobody wanted to miss. 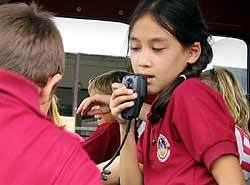 Every child in Grades 2 and 3 was allowed to experience fire fighting as a hands-on experience. Chiang Mai University (CMU) began welcoming its latest batch of freshmen at the Chiang Mai Railway Station. After the train stopped, the freshmen, helped by the seniors, began unloading their belongings and descended onto the platform. After alighting, the new students waited for the bus to take them to the university, while the male seniors from the associated medical science faculty formed several rows and performed what they called the “Faculty Boom” vigorously chanting the faculty name in a booming voice. Most of the fine arts faculty freshmen had arrived the previous day, and were also at the station to welcome the latest batch of new students. Faculty of fine arts students in CMU uniform, who had arrived the previous day, met their friends at the train. Two hours later, all the freshmen gathered at Dharma Hall near the front gate of Chiang Mai University. The welcoming ceremony here was organized by the CMU Students Association. Pornchai Netasith, 21, a fourth year student of the science faculty, and a Students Association member, reassured parents who may be worried about the freshmen’s reception, that they would be well looked after. The vice-president also told the newcomers to live their university lives in the most worthy fashion and try to make as many friends as possible because this would be useful for them after graduating. The reception ended with the performance of traditional Lanna-style drumming, the “Klong Sabad Chai-Drum of Triumph”, which used to be performed by warriors before they went off to war. Nowadays, this performance is carried out on auspicious occasions such as the freshmen welcome. For 74 junior-high school students thirsting for Buddhist knowledge, the animated voice of Phra Songserm could be heard from the main hall at the Kunnadharma (morals) Camp of Panyanantha Institute in Wat Umong. Phra Songserm giving a lesson on Buddhism. The students were from grades 7-9. 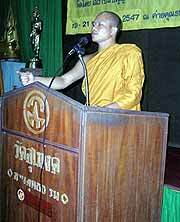 The school promotes Buddhist knowledge among students inviting teaching monks from the nearby temple to lecture on Buddhism and by arranging moral camps. However, this was the first time they took the students on a camp outside their district, but it might be the last time because of financial constraints. “We were funded with over 15,000 baht by the Mae Fah Tambon Administration Organization to offer the children activities on Buddhism,” the teacher explained. The money was used to pay for electricity, water and lodgings. Namkhang, a girl from the Jaka-sacrifice group, one of the eight Buddhist moral principles, sits close to a friend from another group called Kanti-patience. Phra Mahawieng, another monk teacher, said they tutored the children on attaining true happiness. Children grow up “in the confusing world filled with bad vitamins and haunted by ghosts,” he added. The junior high school students from Ban Rom Luang School listen attentively to their teacher monk. The camp would offer them “the good vitamins” by teaching them self-discipline and how to dismiss bad thoughts, speech and deeds. Throughout the three day camp, the students from Ban Rom Luang were woken by the temple bell at 4 a.m. to follow the religious practice of reciting prayers and meditating. Several activities aimed at educating them about Buddhism and moral lessons continued through until 10 p.m. The students were divided into groups named after the eight moral principles of Buddhism and they sat and walked together within their groups. Disobedient students were given a yellow card for the first offence, and a red card for the next offence. Each red card meant punishment of 30 minutes of extra meditation. The Kunnadharma Camp has been running for more than 15 years. Not only junior high school students train here, but participants can be from kindergarten to university students, as well as civil servants, police officers, the military and nurses. Organizations interested in having their members trained there should contact the Kunnadharma Camp of Panyanantha Institute in Wat Umong, or call Phra Mahanarinth at 04-0454819 or Phra Ajarn Singha (Wat Umong Abbot) at 053-273990.